The best way we have found to help students answer these questions is through STEM and STEAM activities. This is why we created a bundle of The Dot activities to help students get into the spirit of International Dot Day. You can access the activities HERE! Students know that the only thing better than a STEM activity is a STEM activity that involves candy. 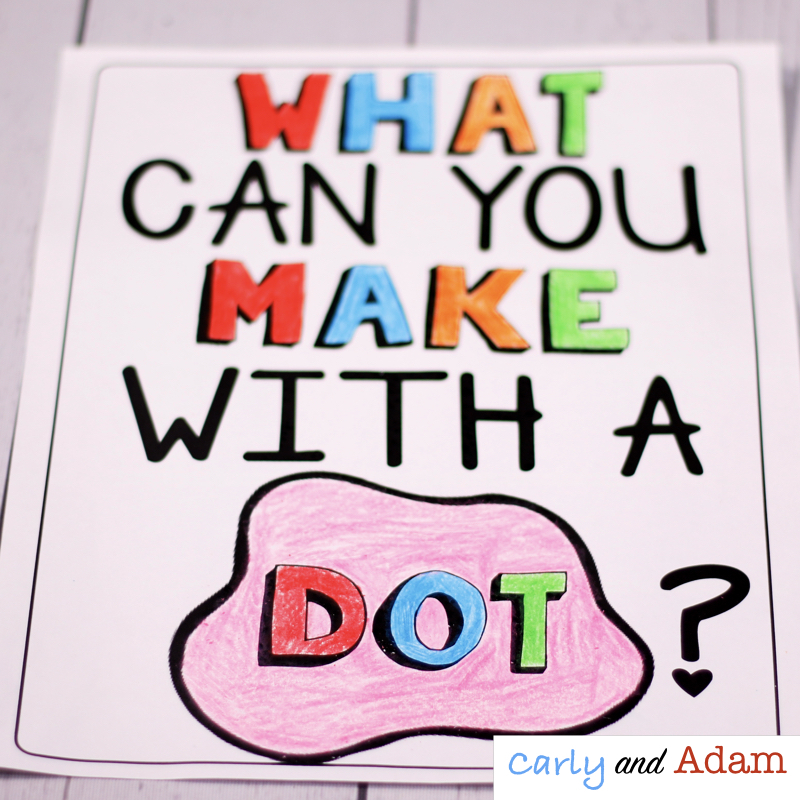 The Dot Candy Builder STEM activity is a great way for students to explore the question, "what can you make with a dot?" For this activity students use toothpicks and Dots candies to create as many different structures as they can think of. One of the best ways to develop student creativity is through growth mindset directed drawings. For this next Dot Day STEAM activity students practice drawing a ladybug multiple times using their own imagination, directed drawing instructions, and a video tutorial. At the end of the activity students use what they have learned to create a final ladybug drawing that they are proud of. Another way to foster student creativity through STEAM on International Dot Day is to have students create a drawing using Dot stickers. For this activity students receive a blank sheet of paper with three dot stickers on it. Students have to use their creativity to draw an animal that incorporates the dot stickers in the design. This activity comes as a bonus FREEBIE in our Dot Day STEM activities resource! Another idea for a Dot Day STEM challenge is The Dot Bridge. For this challenge students must create a bridge out of popsicle sticks and dot stickers. When students use their creativity to solve problems they work towards developing a growth mindset. This is definitely the case with The Dot Paper Chain STEM Challenge. For this activity students must create the longest paper chain possible out of one piece of paper, scissors, and dot stickers. You can grab all of these Dot STEM and STEAM activities with detailed lesson plans and a student STEM journal at a discount in our Dot STEM and STEAM Bundle. Keep in mind that consistency is the key to developing student creativity in the classroom. Providing students with multiple opportunities throughout the year to use their creativity to solve problems is the first step, and STEM is a great way to introduce creative problem solving. To learn more about how to create a culture of creativity and problem solving in the classroom be sure to sign up for our FREE Growth Mindset e-mail course! Sign up HERE!